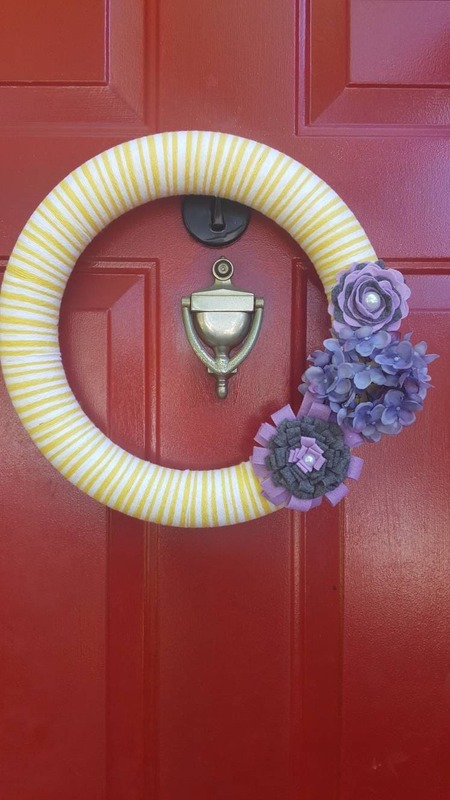 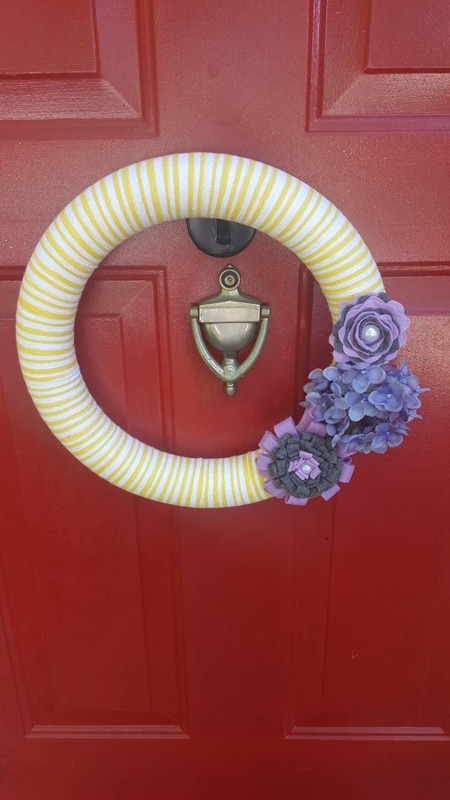 Yellow and white yarn is tightly wrapped around this 14" wreath and decorated with handmade purple and grey felt flowers and a small purple hydrangea. 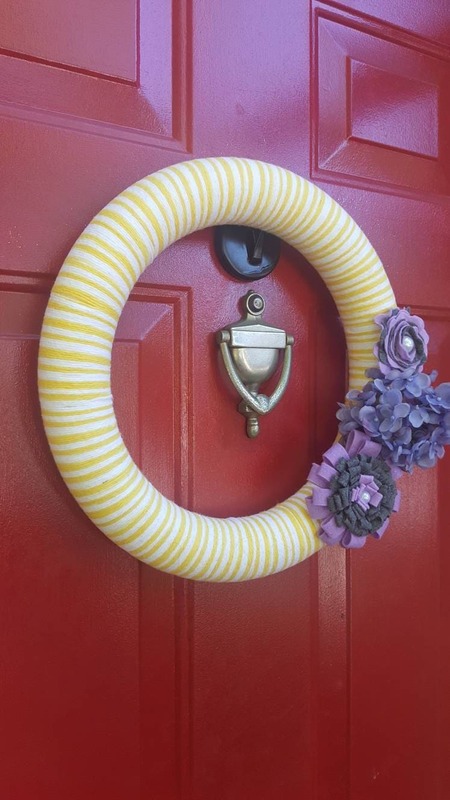 This wreath makes a wonderful addition inside your home. 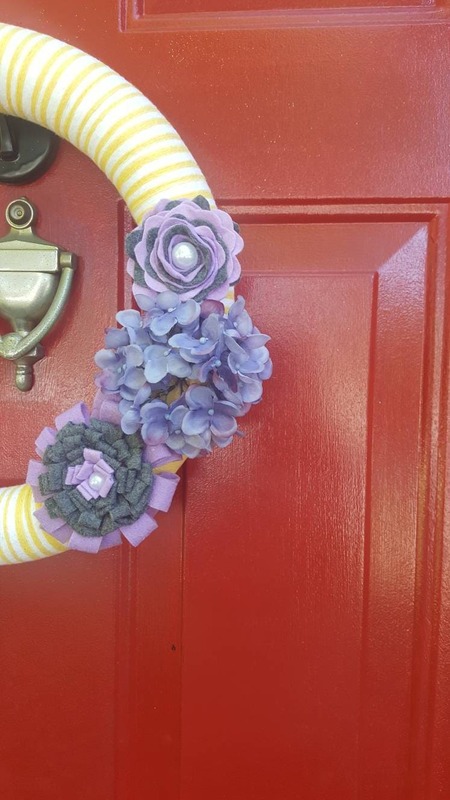 If you'd like to share this beauty with your neighbors, please keep it behind your storm door.